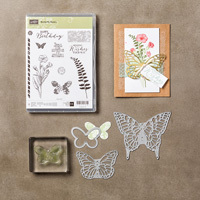 Vanessa's Card Studio: The Butterflies Are Here! 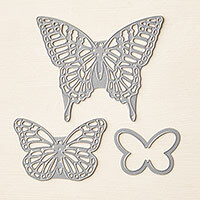 The butterfly dies have been out of stock for weeks, but are now back in stock. As inspiration, I thought I would share some card swaps that feature the big butterflies. I received these cards from other, very talented, Stampin’ Up demonstrators. I love them! Enjoy! If these were on your wish list, be sure to buy them before they sell out!